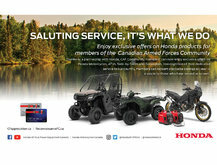 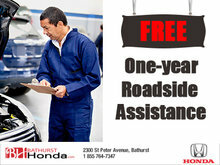 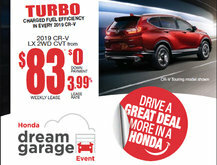 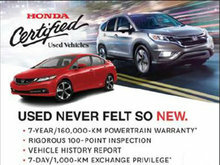 Bathurst Honda wants to help you save money. 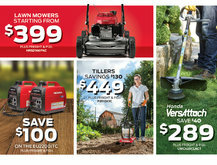 To do this, we offer several special offers and seasonal promotions on all our products. 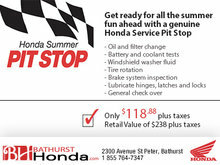 This includes new vehicles, our after sales-services including maintenance and repairs, genuine Honda parts, accessories, and our tire center. 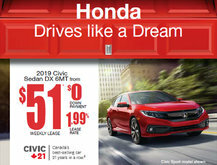 We always offer the best price on the purchase of a new or pre-owned vehicle, in addition to offering discounts and low interest rates on leasing and financing. 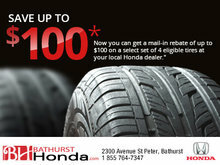 There are plenty of seasonal promotions available at our maintenance and repair center, as well as on the purchase of new winter or summer tires, and on genuine Honda parts and accessories. 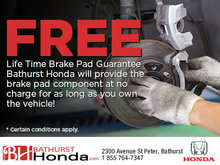 For more information about our discounts and rebates, contact us today at Bathurst Honda at 1 855 764-7347, or you can also contact us online using our chat service or contact form. 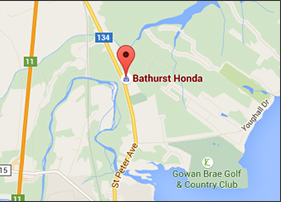 You can also follow us on Facebook or subscribe to our newsletter to be promptly informed of new deals at Bathurst Honda.